DESCRIPTION ARRIVE at Redstone Way to modern designs and INCREDIBLE value! Welcome home to the 2 Storey, gorgeous CAYENNE model. This Certified BUILTGREEN corner townhome offers 3 bedrooms, 2.5 bathrooms, a great open floor concept that is bright and welcoming, PERFECT for a growing family. Enjoy stainless steel appliances, full height kitchen cabinets with soft close doors and drawers. 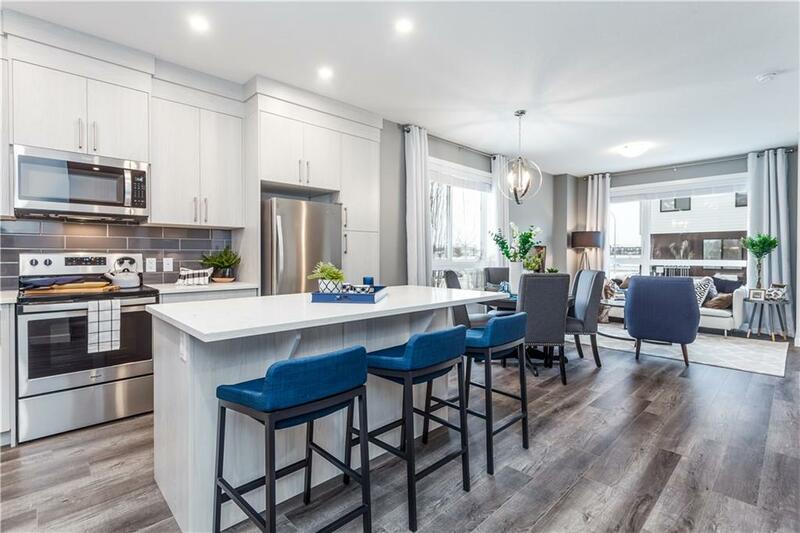 9' ceilings on the main and bedroom levels, 8' front door, quartz countertops in kitchen and bathrooms, TRIPLE glazed windows, and hardie board exteriors! Also included, washer and dryer plus 2" faux wood blinds! Don't forget your unspoiled basement, roughed-in (large enough for bedroom, rec room and 3rd full bathroom). Visit the showhome at 19 Redstone Way NE. Photos are of the showhome, colours and specifications may vary. Amazing location, close to transit, shopping, Stoney/Metis/Deer Foot Trails, Crossiron and Costco. Photos represent the Cayenne floorplan, colours and spec may vary. Hurry in and pick your colours! Home for sale at 911 Redstone CR Ne Calgary, Alberts T3N 0M4. 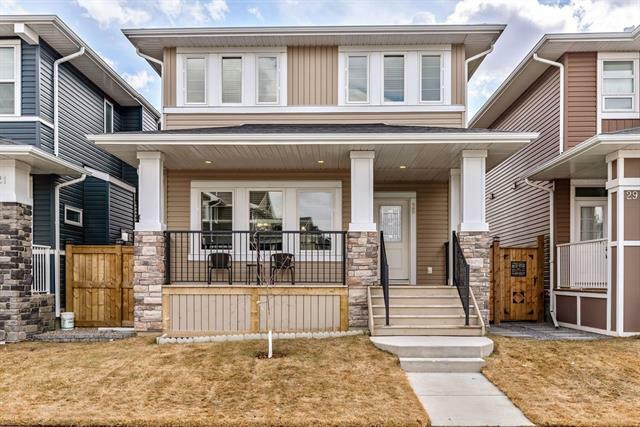 Description: The home at 911 Redstone CR Ne Calgary, Alberta T3N 0M4 with the MLS® Number C4223735 is currently listed at $269,900.